I am delighted to be here this evening, to deliver the 14th Annual Sujata Jayawardena Memorial Oration. It is a privilege to speak at an event in memory of Mrs. Jayawardena, who contributed immensely not just to the University of Colombo, but also in empowering women and promotion of culture of this great country. Let me also take this opportunity to thank the Alumni Association of the University of Colombo for giving me this opportunity to speak on a topic that I am passionate about, India-Sri Lanka relations. This evening, I will focus on this in the light of India’s Neighbourhood First policy. SabkasathSabkavikas: Together we progress, sums up in one line the very essence of our Neighbourhood first policy. I would like to emphasize here the importance we attach to progressing together, as self-interest alone is neither in our culture nor in our behaviour. Neighbourhood is crucial to us not just because we share physical borders. Neighbourhood is significant because we are joined by blood. We, in South Asia, are connected by common historical and cultural heritage. Our commonalities are as extensive and run deep. We are not just near to each other; we are close to each other. Action speaks louder than words. Just to give you an example, during the recent finals of the Nidahas Trophy, our cricket team was amazed and deeply grateful for the support extended by Sri Lankan fans – they felt like they were playing at home. The crowd support was crucial for Indian team’s victory. As a mark of gratitude, the Indian team made the lap with Sri Lankan flag in hand. I was there in the stadium; it was a very emotional moment. This sense of being at home, whether for an Indian here or a Sri Lankan in India, is rooted in the deep understanding and respect that we have for each other. I have had the opportunity to serve in Sri Lanka more than 15 years ago, and I have seen first-hand these special bonds grow. Before, I get into India-Sri Lanka relations, it is important for us to recall the idiom, know thy neighbour. We have millennia old ties; however, we need to also appreciate how our countries have evolved over time. India of today, is very different from yesteryears. There is a lot happening out there. How many of you know that India launched 107 satellites into space last year, in one go, the highest ever by any country. India’s Mars Mission, Mangalyan, costs 10 times less than the same mission undertaken by other countries. 2017 was in fact the last year India used foreign launch vehicles to send its satellites into space. Hereafter, it will all be indigenous. More than one-third of the top 1,000 global R&D spenders have centres in India. In 2016, India overtook the US in terms of internet users. India’s internet user base is now the second largest in the world. In India, there are about 1 billion mobile users today. In mobile data consumption, today, India is in the first position, ahead of US and China put together. India will soon become the second largest market for robotic surgery in the world. The world's largest solar park for around 2000 MW is coming up in Karnataka. India is world’s youngest country, with 64% of its population in the working age group. The tech start-ups in Bengaluru and Hyderabad have changed the face of modern India. India’s MyGov application crowdsources governance ideas from citizens. Indian leaders are extensively using modern social media tools to connect with people. Technology-enabled governance has indeed come a long way in India. India also has currently the largest, financial inclusion programme in the world. Aadhaar, the unique identification system, has become the largest and most successful IT project ever undertaken in the world, with 1.1 billion people having a digital proof of identity. India is also perhaps world’s most complex pluralistic society, home to a vast variety of castes, tribes, communities, religions, languages, customs and living styles. There are nearly 4,600 separate communities in India with as many as 1650 languages. We look different, have different food, dress differently, speak different languages, have different beliefs, yet we are one. We believe pluralism calls for celebration. It is our institutions and people which have made India strong and one. As responsible democracies, like Sri Lanka, India also does not believe in sacrificing civil liberties for achieving development. I am aware that Sri Lanka, too, has changed a lot. The youth of this country is looking to the future with optimism and hope, rather than be weighed down by problems of the past. After decades of violence, Sri Lanka is reaping the benefits of peace. The country has made enormous strides in promoting human development indications, and we in India can learn much from you in this area. And Sri Lanka is deepening its international integration, in the neighbourhood and beyond. 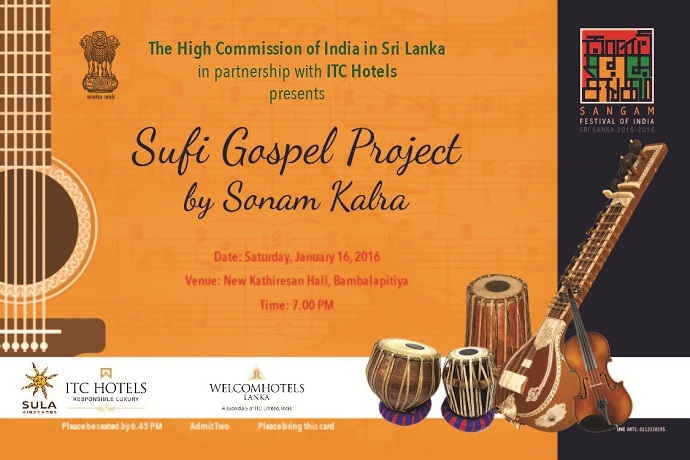 Sri Lanka is looking to live upto its name of ‘Suvarna Lanka’. It is against this background that I would like to speak about relations between our two countries and how I see them develop in the future. If you look at the evolution of India’s foreign policy, there are things which have moved with the times. At the same time, there are things which have remained constant, ever since we became independent. But one thing stands out in all this – the importance that India attaches to its relations with Sri Lanka. One of the basic tenets of India’s foreign policy, which has remained constant ever since independence, is that we have never believed in setting conditionalities for friendship. Our heart is broad and big. We do not see friendships through transactional lens. There is no quid pro quo. To give you an example, in May last year, India launched the South Asia satellite, which is a gift from India to all its neighbours to meet common developmental goals. Sri Lanka was the first SAARC country which agreed to be part of the satellite. The other basic principle in our foreign policy, which has remained unchanged, is that we have always believed in sharing what we have. Even while struggling to meet our own developmental priorities, we have shared the fruits of our expertise, knowledge and skill set with our friends and partners. We firmly believe that our assistance should result in true capacity building so that the changes are sustainable. Government of India offers 750 scholarships annually to Sri Lankan students at various levels. In addition, India has been providing fully-funded short term training opportunities, under Indian Technical & Economic Cooperation (ITEC) programme launched in 1964. This year, we have allotted around 400 slots under ITEC to Sri Lanka. India has committed a total of around US$ 2.9 billion in concessional financing to Sri Lanka, out of which US$ 545 million is pure grant assistance. I want to emphasize one aspect: Our aid is not to raid or invade. Our assistance is based on Sri Lanka’s own requirements. Our partnership blends with your priorities. Now, the third and most important B, which forms the pillar of India-Sri Lanka relations is Lord Buddha. With Sri Lanka, we feel that we have a spiritual bond treasured over centuries. Buddhism first came to Sri Lanka from India before it spread anywhere in the world. This was not just because of the proximity. It was because of the interconnectedness we felt for each other, even in those times. DevanampriyaPriyadarshiAshoka of India and DevanampiyaTissa of Anuradhapura, both of whom played a prominent role in the introduction of Buddhism in their own lands, were great friends, though they had never met even once during their lifetime. You must remember that Ashoka sent his own worthy children, Mahinda and Sanghamitta to Sri Lanka to spread Buddhism while sending emissaries to other parts of the globe, including Gandhara, Greece, Myanmar, Egypt, and Thailand. Sri Lanka was special not just now, but even then. It is interesting to note that Buddha while referring to himself, never used the words, ‘I’, ‘me’ or ‘myself’. He preferred ‘Tathagata’: which means "one who has thus gone" (tathā-gata) or "one who has thus come" (tathā-āgata). We are owners of the legacy of that land that transformed Gautama to Buddha. Buddhist symbols have become our national symbols. Lotus, which is venerated in Buddhism and Hinduism alike, is our national flower. The Asoka Chakra in India’s national flag is inspired from the Buddhist Wheel of Dhamma. India’s national emblem is an adaptation of the Lion Capital of Ashoka at Sarnath. India is proud of its Buddhist identity. Thus, the foundations of our bilateral relations have been strong. What is it that has changed in recent times? You will agree with me our approach has become more proactive and action-oriented. Our leaders have imparted a new energy to our ties. We have tried to overcome the ‘hesitations of history’, if I can use that term, in some cases. We have extended timely assistance in times of need, be it during floods, or drought. We have expanded our development cooperation in terms of range, quality and quantum of commitments as well as pace of implementation. It is heartening to note that Sri Lankan leaders chose India as the destination for their first official travel abroad. Prime Minister Modi’s visit to Sri Lanka in March 2015 was the first by an Indian Prime Minister after a gap of 28 years. Sri Lanka chose our Prime Minister as the Chief Guest at the UN Vesak Day celebrations, which she hosted for the first time. Prime Minister Modi’s visit to Sri Lanka in May 2017, the second in two years, was unprecedented for an Indian Prime Minister. There have been many firsts in recent past which we can be proud of: Sri Lanka recently joined the National Knowledge Network (NKN), being the first SAARC country to do so, through which the Sri Lankan Universities will now have digital access to around 1600 universities in India & beyond. During the visit of our IT Minister to Sri Lanka in January this year, we launched a pilot program on E-Office, developed by our National Informatics Centre, wherein an eGov documentation was digitally signed for the first time in Sri Lankan public sector. Where do we go from here, and how do we sustain the dynamism of the last few years? Sri Lanka needs to take advantage of the fact that it is not just near, but also, close to the fastest growing major economy in the world, India. When Sri Lankan Airlines became the largest foreign carrier operating to India connecting 14 of our cities, it was just one example of realization of Sri Lanka’s true potential. There are several Sri Lankan brands which have done well in India. We continue to be the largest source of tourist arrivals into Sri Lanka. Sri Lanka is strong in services sector like India. With India enacting its biggest tax reform in history, one country one tax, its Goods & Services Tax, GST, Sri Lankan traders would find it easier to access the Indian market. This is all a drop in the ocean. Greater connectivity and economic integration are our promise for a better tomorrow. When I say this, let there be no doubt in anyone’s mind, we do not covet your markets, your assets or your land. We want to walk with you at a pace you are comfortable with. We seek a secure and prosperous future for Indian Ocean region that lives up to the name of SAGAR- Security and Growth for All in the Region. The real ownership of India-Sri Lanka relations rests with the people in both the countries. The people have to decide whether to look at the past, survive in the present or work towards a common future. We hold the belief that success of one must propel the growth of many. As Prime Modi has said, you will find in India, my friends, a beacon of peace and progress, stability and success, and access and accommodation. India will be there for Sri Lanka whenever you need us. As Lord Buddha has said, may all beings have happy minds. May all of us be happy today and everyday. May the Triple Gem bless you all.